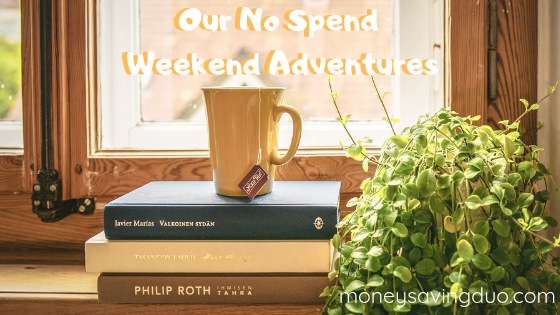 Every so often we decide to host a “no spend weekend.” The concept is rather simple – don’t spend any money on anything other than the essentials. But not every no spend weekend looks the same. After Aaron’s birthday weekend, we decided it might be wise to embrace what we affectionately refer to as our “No Spend Weekend” – a weekend where we don’t spend money on anything other than the essentials. Typically, this means we still go grocery shopping for the week. Other than that though, we intentionally look for activities to enjoy at home that cost us nothing. 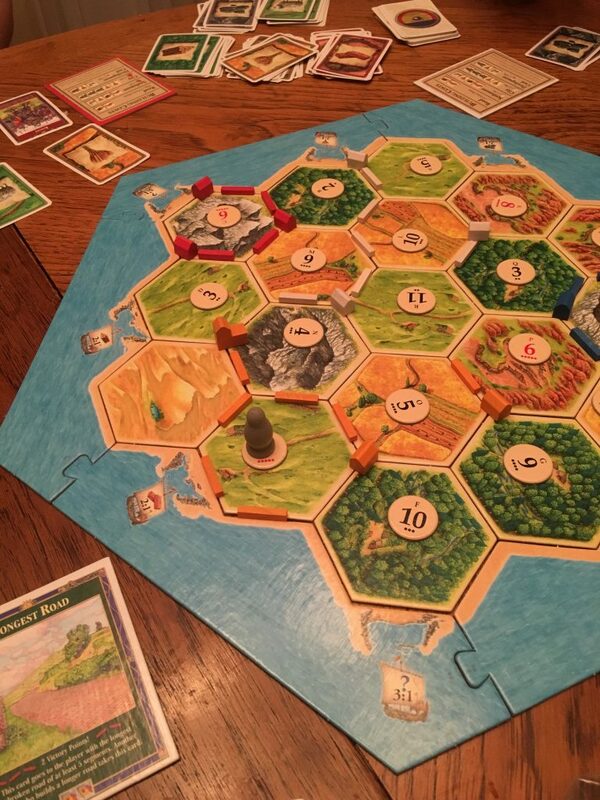 An epic battle of Settler’s of Catan. The boys and I just learned how to play this game; although full disclosure, we’ve owned this game for a few years now. It took a little effort to learn how to play (thanks YouTube how-to videos!) but once we figured it out, we’ve found that its a game we all enjoy. Finally hanging up artwork in our basement! We’ve had really good intentions to get all our artwork up on the walls of our basement, but it also happens to be an activity that is super easy to put on the back burner. We thought this weekend would be the perfect time to do this and it was. Isn’t this beautiful? 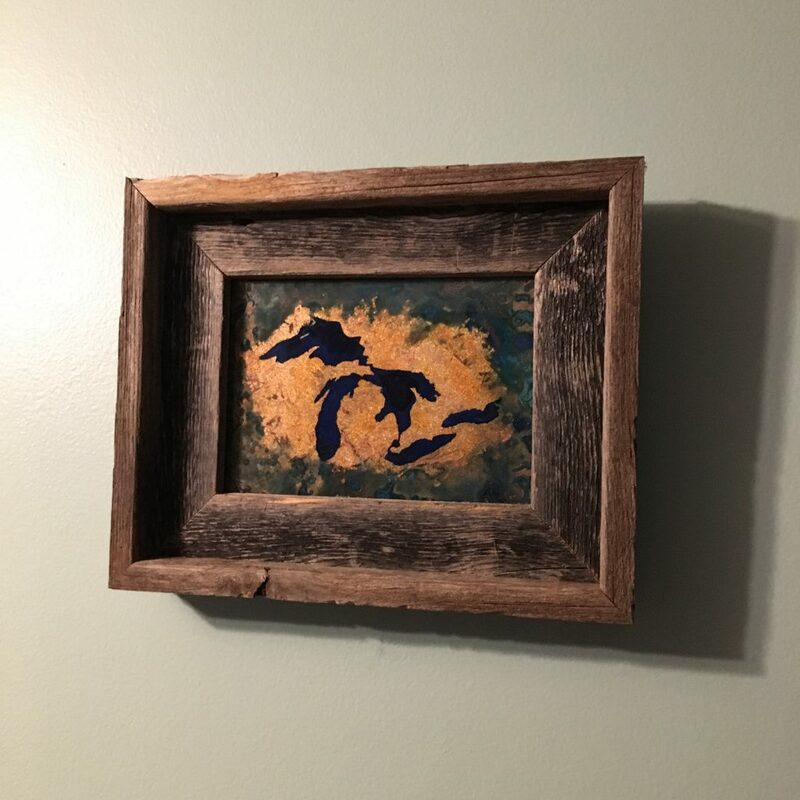 This is one of the art pieces we hung up in our basement – we’re going for an adventures in Michigan theme. Watching a movie we already own that we haven’t watched in awhile. Our family loves to have movie nights where we make popcorn and rent a movie to watch on the weekend. This weekend though we opted for a movie we already own but haven’t watched in awhile. Ben’s been reading Lord of the Rings so we thought it be fun to watch this movie together. Have you ever implemented a “no spend weekend?” What are some of your favorite no-cost activities?